ARLnow.com features Viva Green Homes as a growing tech start-up just outside of Washington, DC. Based in Arlington, VA, just outside of Washington, DC, Viva Green Homes has some serious perks. Arlington offers networking with professionals in the start-up industry, eco and sustainability industry, and the real estate industry-- not to mention its proximity to organizations and government agencies doing some amazing things with energy efficiency and the housing industry. When Arlington real estate agent Kari Klaus decided to renovate her home to make it more energy efficient, she stumbled upon a problem. Klaus, whose background is in sustainable development, realized that the traditional real estate property listing system doesn’t showcase or market environmentally friendly features for homes, making her house appear similar to others that aren’t energy efficient. From working in the real estate business, she knew that home buyers care about how eco-friendly their future home will be. “Wouldn’t you want to know if the home you are thinking of buying has superior systems, a tight building envelope (sealed to prevent air leaks) with solar panels and will save you potentially hundreds of dollars each and every month?” Klaus said. But there was no understandable and reliable way to rank, search and view energy efficient homes, Klaus said. “VivaGreenHomes.com shows you that these options exist and explains their importance to you as a home buyer,” Klaus said. 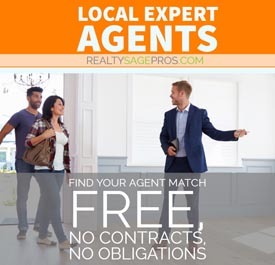 She said her company changes the game because other real estate listing services aggregate home listings without any verification procedures. 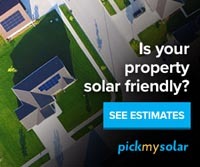 VivaGreenHomes.com uses claim verification methods, including a “Home Energy Rating System” score, an industry standard for eco-friendly homes. A beta version of the site launched in October 2014. Feedback received from industry leaders helped to shape the website before its full launch in May. Just two months after launching the full version, the website has nearly 4,500 active listings, Klaus said. 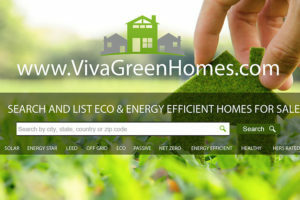 In the next six months, VivaGreenHomes.com plans to add more user tools, consumer information and other features. Amid those changes, Klaus hopes the number of listings on the site will reach 20,000 in the next year. Arlington provides all the resources the company needs to continue to grow, she said. VivaGreenHomes.com is currently affiliated with 1776 Crystal City, Mentor Capital Network’s Bethesda Green Cohort and Cleantech Open Southeast.